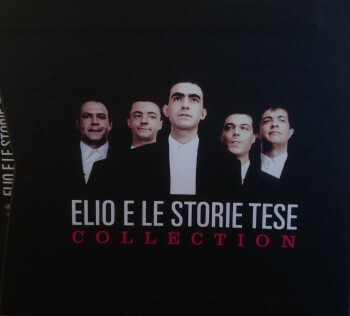 At the end of 2010, La Gazetta Dello Sport released a collection of 11 CDs and 3 DVDs by Elio E Le Storie Tese. One CD or one DVD per week. Every CD and DVD came in a slipcase and all of them fit in one beautiful box. Week 10 offered a DVD called "The Lugano Tapes", a digital version of the VHS tape that had been released in 2001. This recording includes Elio E Le Storie Tese with special guest Ike Willis, performing a.o. 'Broken Hearts Are For Assholes', 'Why Does It Hurt When I Pee?' and 'You Are What You Is'.